The journey into Vietnam was a long and trying one, but within moments of arriving in Ho Chi Minh City (aka HCMC, aka Saigon), it was well worth every second. Chris and I began the day on Rabbit Island, Cambodia and took a boat, a minibus, a larger minibus, a proper bus, a ferry and a cab to meet up with Anthony in Saigon, Vietnam. The first thing I learned about the city (other than the price of beer…I cleared that one up immediately) is that the name was changed from Saigon to Ho Chi Minh City after ‘The Fall of Saigon’ in 1975, which also marked the end of the war. However, the core of the city is still known as Saigon, and it seem that the only ones who use HCMC are officials and beginner visitors to the area. No matter what you call it, it is one heck of a cool city. The entire country of Vietnam is in an upswing, and you can certainly see the signs of that here. We got settled in a swanky hotel and hit the town for some amazing people watching, dodging people selling everything, dodging motorbikes, making new friends and tasting beer at a bunch of places. 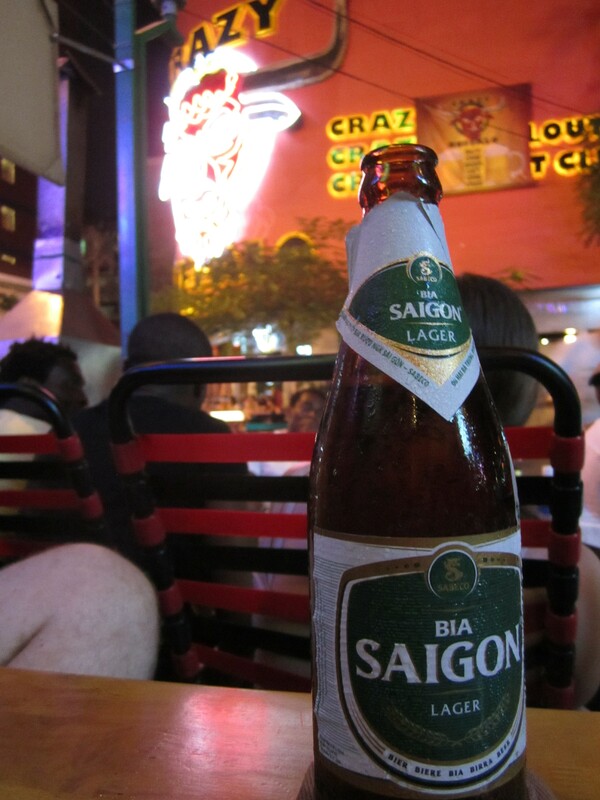 I spent two nights in Saigon before catching a bus to Dalat. 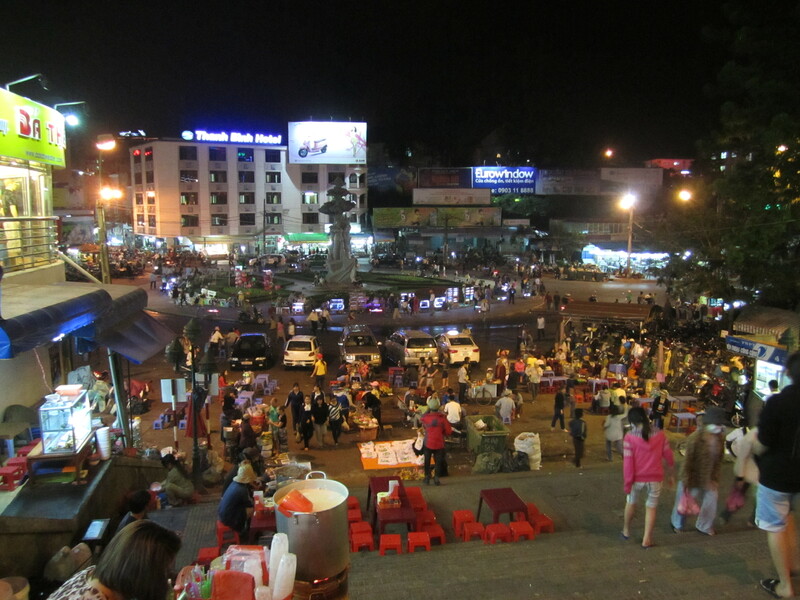 Arriving in the smaller mountain city was a relief, as the temperature was at least 10c cooler than Saigon. I found a nice homestay and set out to explore the town. 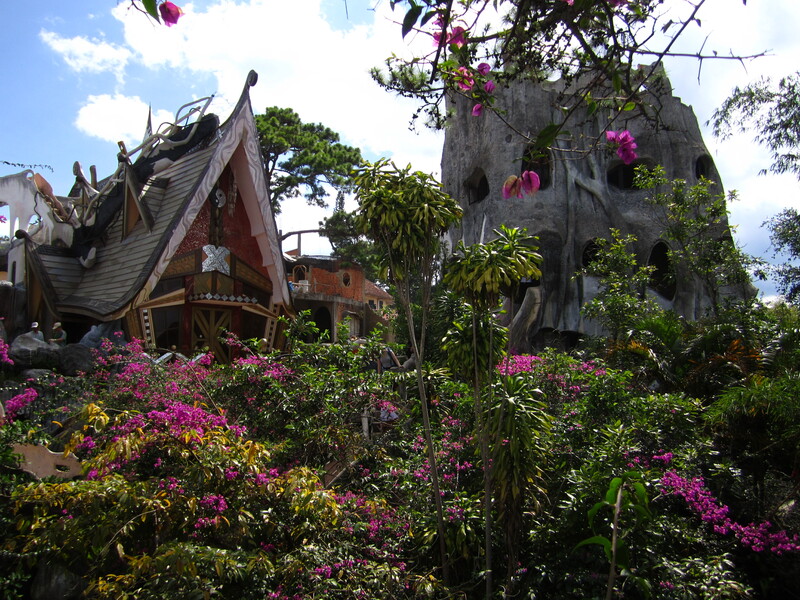 If you like markets and street food as much as I do, then Dalat is a great place to visit. I also found the Dalat Easy Rider club and went in for a little chat. This is a group of locals with very good knowledge of the city, the surroundings and the history of Vietnam who can take you out on a motorbike (proper, not a scooter) tour ranging from a day trip to a full tour of the country. After chatting with Mr. Son, a 10 year Easy Rider veteran with excellent english, I decided to take his one day tour. He picked me up in the morning and off we went. He told me some amazing stories of his life in Dalat and what things were like before, during and after the war. A bomb actually dropped in the garden in front of his house, but somehow didn’t explode so his father covered it with dirt and kept farming overtop of it! 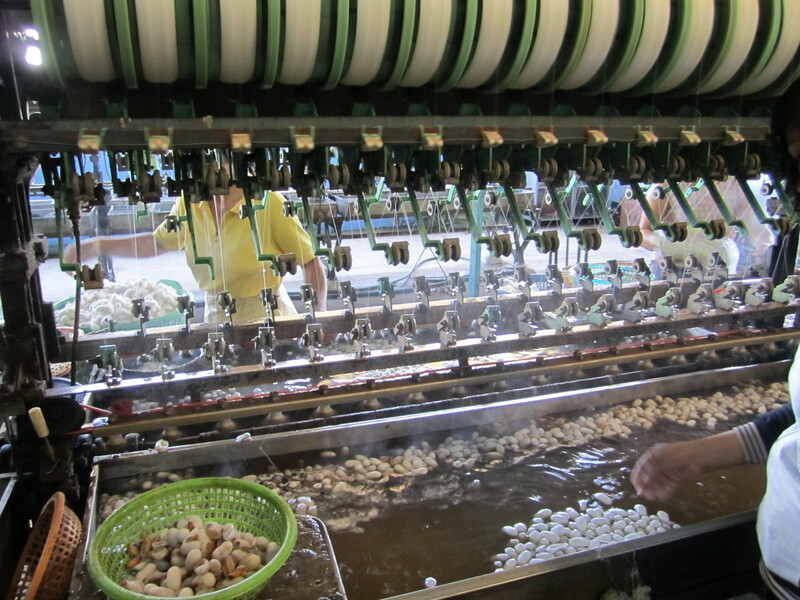 One of our stops was to a silk factory about 45km from town. I got to see the different stages in the life of a silk worm and how the silk is actually extracted, rolled and then woven. There were also women on site sewing clothing out of the fresh silk and embroidering it with very intricate scenes of Vietnamese life. The amount of work that goes into these pieces is pretty amazing, but I held back from buying as my backpack is already loaded with enough stuff (sorry guys, no presents). The next stop was Elephant Falls. As I was slowly making my way down the crazy path beside the falls, I rubbed against a plant that felt funny and before I knew it, I had a lovely row of itchy bumps on my arm. It was worth it though. The view at the bottom of the falls with the sun shining down through the water mist between the massive plant covered rocks was stunning! When I showed Mr. Son my arm he just laughed at me and said “I told you to be careful!”. Clearly, it wasn’t something to worry about. We then made our way to the Crazy House, which was exactly what the name implies, and was a lot of fun to wander around.When we got back to the city, I set out to find something to eat. As I was wandering around, I noticed two ladies sitting at a child-sized table at the entrance to an alley cooking something on top of a terracotta pot. I stopped to watch them and ended up sitting down to dinner with them and chatting for over an hour. One of the ladies spoke a little english and filled me in on all of the gossip going on around us. It was hilarious! After filling up on Banh Can and almost making myself sick from laughing so hard I decided to say farewell and head back home as I had an early bus to Nha Trang in the morning. The bus was my first sleeper bus, which is made up of beds instead of seats and has become my favorite way to get around. I hopped off the bus in Nha Trang, dropped my bag at a hotel and headed to the beach. The town is best known for the 22km white sand beach (and not much else). After looking at the beach and talking to a few people, I headed back to the hotel and booked a bus to Hoi An that night. Total, I spent 2 hours in Nha Trang. At first I felt a little guilty for not giving the town more of a chance, but once I arrived in Hoi An, I knew I had made the right decision. What a remarkable town! I met a couple from England who led me to my new favorite hotel, then we toured around. 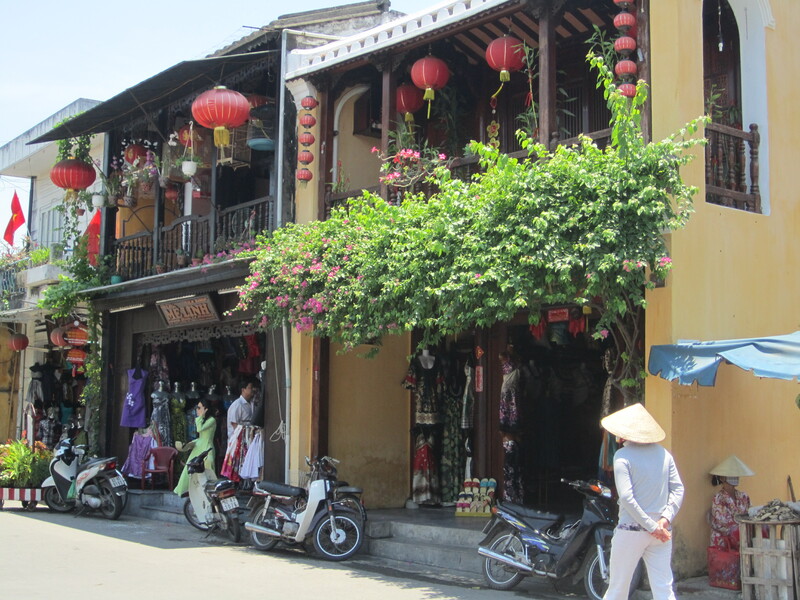 Hoi An is famous for its numerous tailor shops and French Colonial buildings. It has been declared a UNESCO World Heritage site, which means that future development of the town is very limited in order to keep it in its current (and beautiful) condition. We found a number of restaurants along the river selling Fresh beer (home-brew) for 3000-5000 dong (15-25 cents). SWEET!!!! It certainly doesn’t compare in quality to the home-brew I grew to love in Redlands, but it was beer and it was cheap so I was happy. After two glorious days in Hoi An, I said goodbye to Steve and Louise and headed off to Hue, the former Capital City (pre-war) and the home of the tours to the Demilitarized Zone, also know as the DMZ. In the 1950’s the Ben Hai river just north of Hue was determined to be the border between North and South Vietnam by the Geneva Convention, with a 5km Noman’s land on either side. During the war, this was the most heavily bombed area which caused the locals to build over 100 different tunnels to live in. 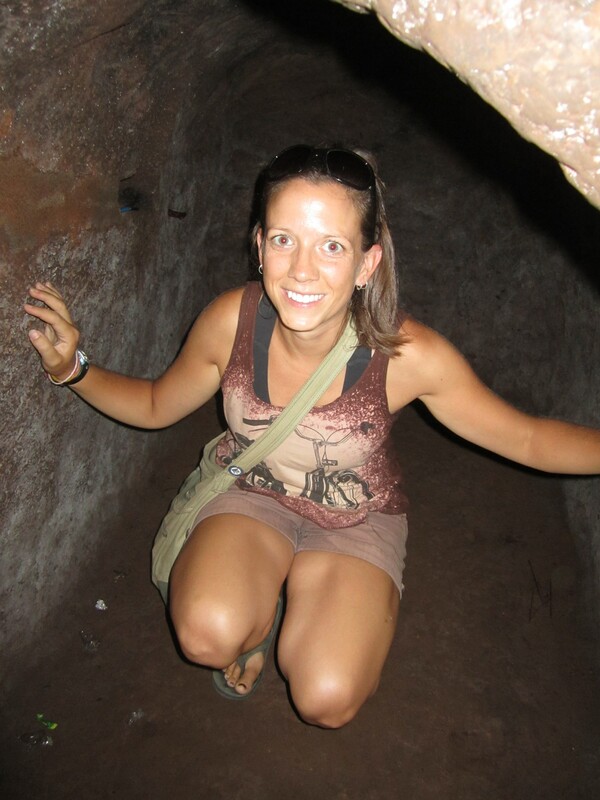 The Vinh Moc tunnels are the best maintained and consist of 3 levels which were home to almost 400 people for over 2 years and had 17 babies begin their life here underground. I couldn’t believe the tiny family dugouts that each housed 4 people, but that I could hardly squish myself into (perhaps it’s due to all the amazing food here). The residents of these tunnels stored weapons for the North Vietnamese Army to transport to their troops in the South. Sneaky! We also visited the Ho Chi Minh Trail and a few military bases before heading back. I was dropped off in Dong Ha to say Goodbye to South Vietnam and catch another 12 hour sleeper bus to Hanoi. The South Vietnamese really showed me why the country is known for their smiles, and I head North with a great impression of the country. I have also managed to avoid any rain…so far. North Vietnam, here I come! This entry was posted in Traveling, Vietnam. Bookmark the permalink. Loved this post. The photos are beautiful…so many flowers! glad you are enjoying Vietnam! sounds beautiful!! !